Terrific townhouse with a gated courtyard & flagstone patio. Fresh landscaping front and back. 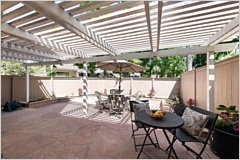 Enjoy your private patio with cover for extra shade & comfort directly off the living room. This spacious yard doesn't back to any homes, so it feels like a single family instead of a condo. 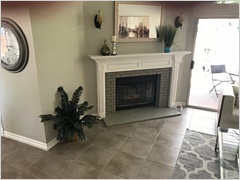 Entering you will see designer paint & newer slate floors with 4'' baseboards--cleanup is a breeze. 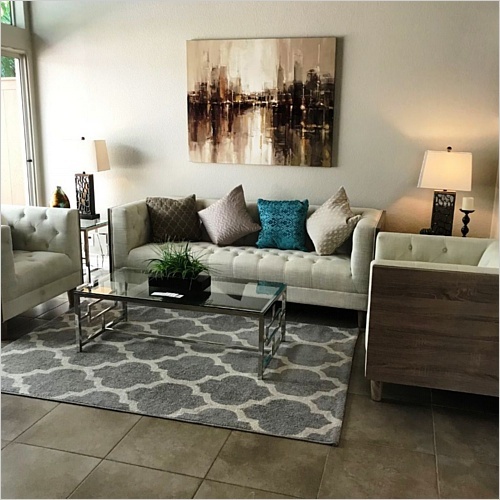 Enjoy the warmth of the fireplace in the spacious living room & separate dining area--all with designer paint. 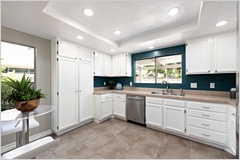 The eat-in kitchen is sparkling clean & has stainless appliances & fresh white cabinets with newer hardware. 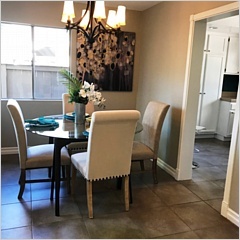 Upstairs are 3 spacious bedrooms and 2 baths. New carpet was installed upstairs in September .The master bedroom is massive and lots of room for even a King size bed. There is a walk-in closet and the bath offers plenty of counter space & a dual vanity. Bedroom 2 has a contemporary ceiling fan. The house was completely re-piped by the HOA in 2015. 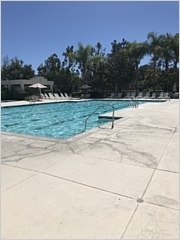 Enjoy the resort style amenities--gorgeous Glenwood Park with its winding trails, lap pool + a kid pool, spa, gym, lighted tennis courts, club house, play area, & BBQ grills. 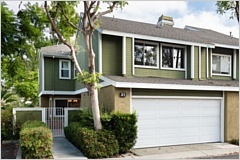 Aliso Viejo offers miles of hiking & biking trails for those who love the outdoors. The huge town center has every imaginable store and lots of great local eateries. Beaches are nearby. Award winning schools make this a perfect neighborhood, just waiting for you. Low tax rate and NO MELLO ROOS.